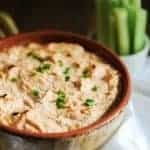 Keto Buffalo Chicken Dip – The Perfect Tailgating “Healthy” Food! If you’re on a Keto or low carb diet and trying to figure out how to navigate tailgate season, this recipe is for you! 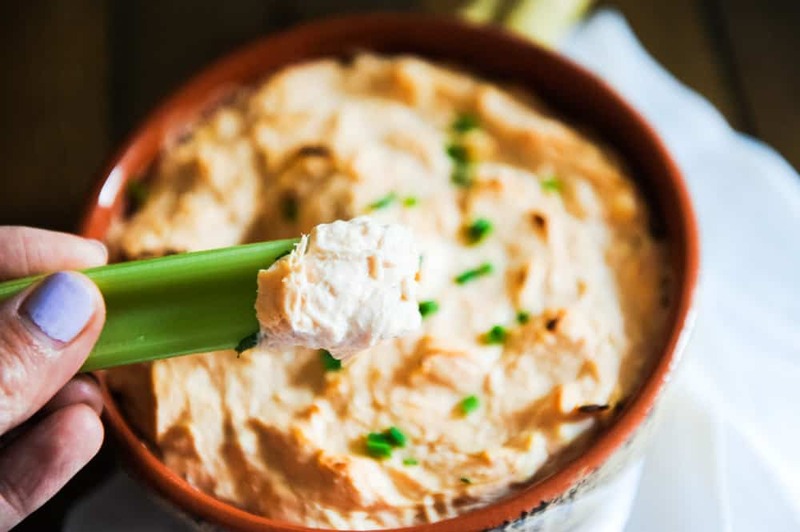 Not only is this buffalo chicken dip recipe a 100% keto-friendly appetizer, it’s also customizable! You can also lighten up certain ingredients to make your clean eating friends happy too! But the best thing is – no one will ever know they are eating a “healthy” appetizer recipe! 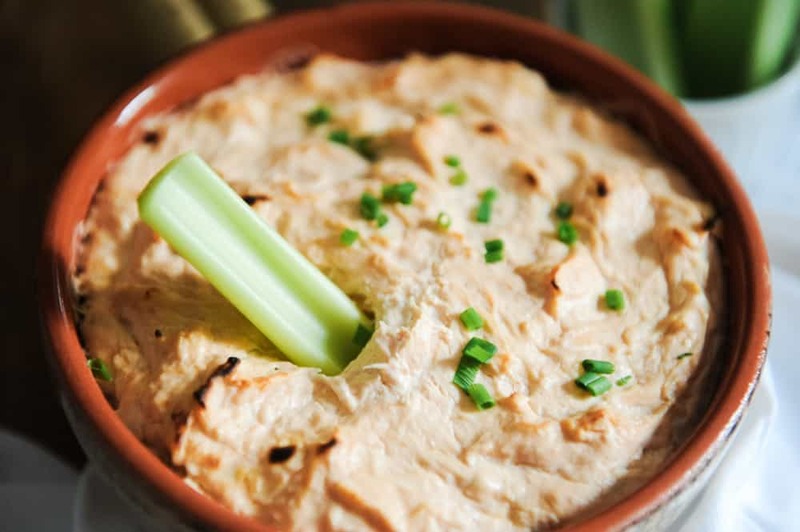 This keto buffalo chicken dip recipe tastes just as good as the usual recipe. Keep scrolling down for the one of the best keto appetizer recipes out there! 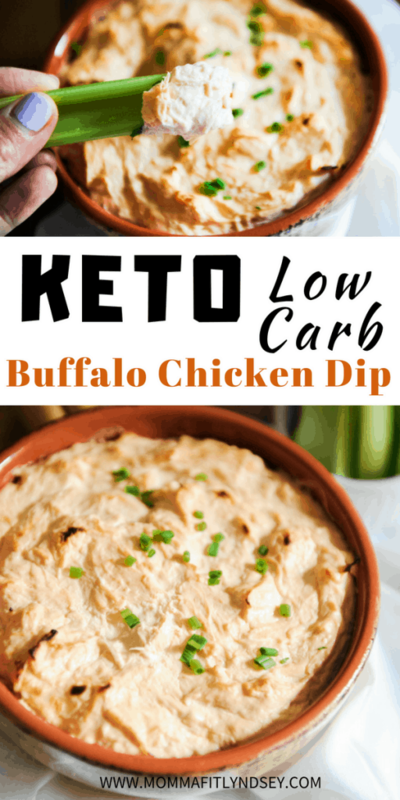 If you stumbled on this keto buffalo chicken dip recipe and are just getting started with the keto diet, hold up! Before I tell you about what the Keto diet is, I disclaim that any and all “diet” that you choose to follow should be discussed with your doctor. In a quick and dirty Keto tutorial, the Ketogenic diet is basically where you eat higher amounts of fats and lower amounts of carbs. Once done properly, following a Keto diet will send your body into a state of ketosis, during which your stored fat is used as energy. So, your calories are coming from fat, not carbs. Thus, your body burns your stored fat! If the Ketogenic diet is something you’re looking to follow, it can become quite pricey to purchase fresh, organic foods, right?! If you’re looking to do Keto on budget, this post is going to help you navigate the Keto diet at my favorite budget friendly store, Aldi! 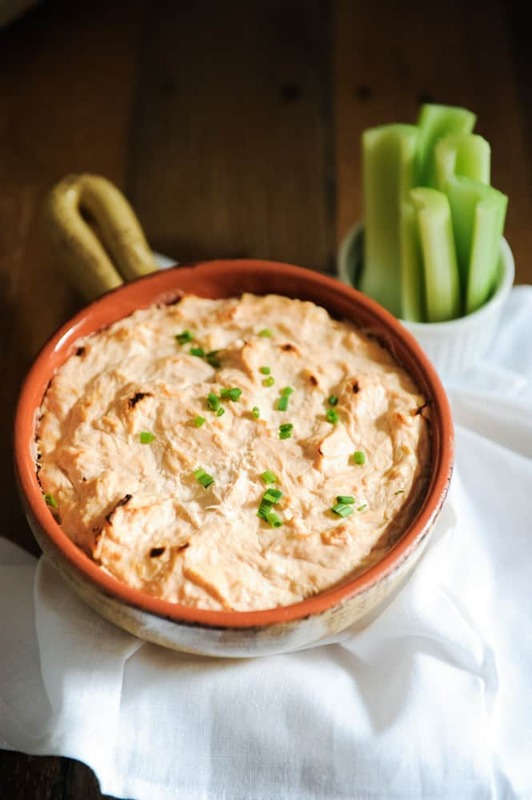 How can we make buffalo chicken dip keto-friendly? There are a few items that are no-no’s on the keto diet. The keto diet is defined as low-carb. That means you will be limiting certain foods. This keto buffalo chicken dip has very few ingredients. That makes it super simple and quick to make! If you are looking to lighten up the recipe and make it more of a skinny buffalo chicken dip – here is what to do! That’s it! 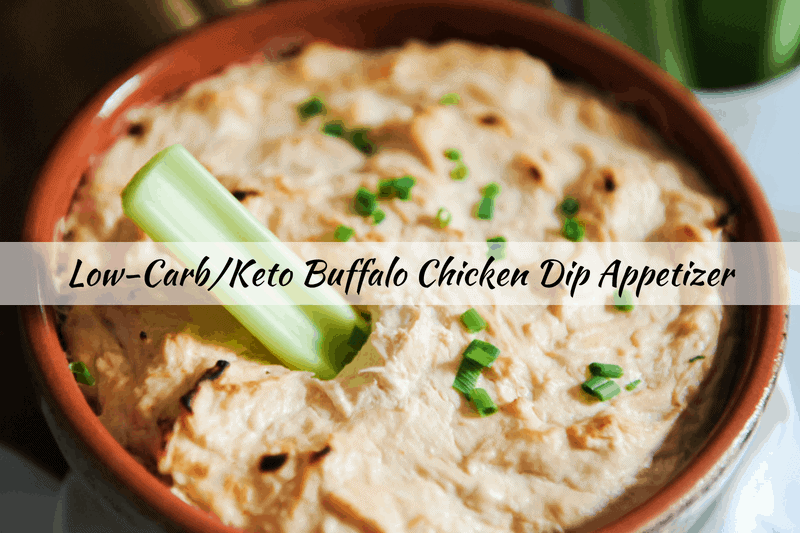 these two swaps are going to cut down the fat and calories making this keto buffalo chicken dip also a lightened up buffalo chicken dip! And it still tastes incredible. No one will be the wiser! Preheat oven to 350 degrees. Combine all cream cheese, sour cream, and Frank's Red Hot until well incorporated. Add in chicken. Transfer mixture to an 8X8 Pyrex or casserole dish and bake for 20-25 minutes or until bubbling. Broil for up to 5 minutes (watch carefully!) to brown and crisp the top. Serve with low carb veggies like celery! 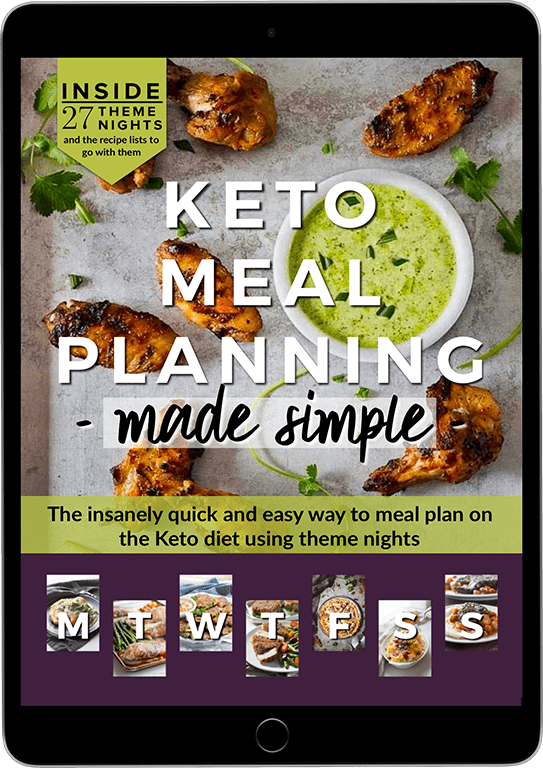 Like to shop Keto on a Budget? 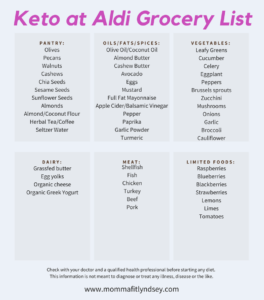 Download your FREE Aldi Budget Friendly Keto Shopping List below! Are you ready for tailgating season? What are your favorite tailgating appetizers? Tell me about it in the comments!